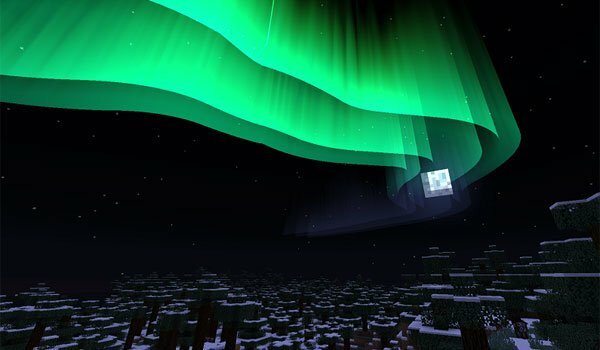 Aurora Rubealis 1.4.7 is a Minecraft mod that adds the aurora borealis. These begin to be visible in the sunset and its brightness will increase giving way to night, to end disappearing into the sunrise. Trying to reproduce this phenomenon in Minecraft, the author of the mod, has made himself visible in the “north” a concept difficult to locate in Minecraft, so the closest thing to it is cold or snowy biomes, where the northern lights are visible. How to install Aurora Rubealis Mod for Minecraft 1.4.7? Realistic Northern Lights in Minecraft!